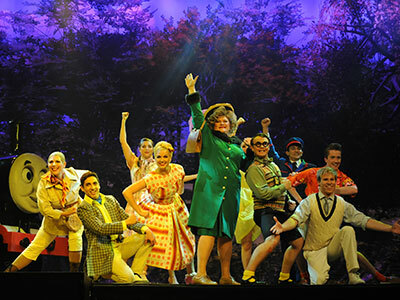 Thomas and his Friends are coming to Melbourne these July school holidays in a brand new stage musical, “Thomas and the Hidden Treasure” . 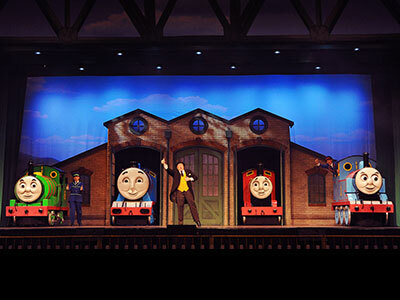 Starring Thomas, Percy, James and Gordon this delightful new musical adventure features a cast of 14 PLUS life size moving engines live on stage! It’s a busy time on Sodor for Thomas and his friends as they help The Fat Controller welcome a group of holidaymakers. Thomas is given an exciting and very important job of taking the visitors on a “Pirates of Sodor Tour” but he gets distracted at the prospect of finding some long-lost treasure. Will Thomas be able to find the treasure and delight his passengers? Or will he cause confusion and delay and spoil their holiday? Find out at Thomas and The Hidden Treasure. It’s sure to be great school holiday fun.